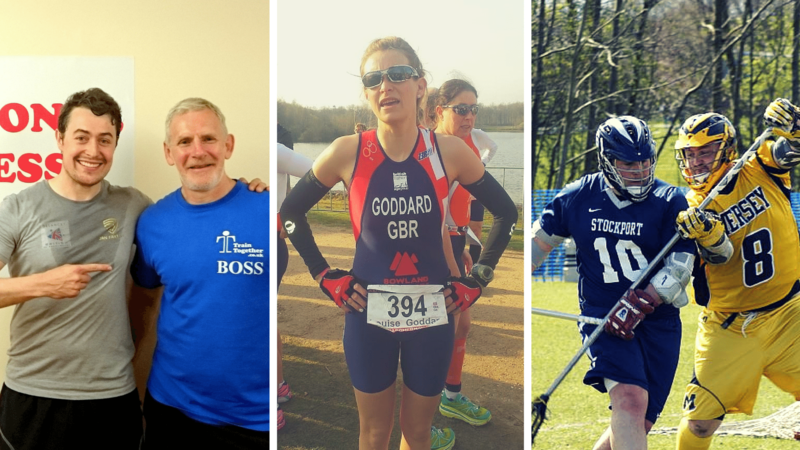 GB Athlete, England’s Official Lacrosse Squad and a World Cup Champion Speed Skier… It’s all going on at Train Together! At Train Together we are the people’s gym. We go above and beyond to make sure that all of our clients are supported as individuals. Whatever your fitness goal (to lose weight or prepare for a marathon) and ability (beginner or athlete) we can help you to achieve the results you want with a huge variety of classes to get stuck into and a friendly gym to enjoy. We are very proud of all of our members at Train Together, and it’s our members that make Train Together what it is. They are friendly, they are hard working and they are a fantastic bunch of supportive, encouraging and passionate people. Since opening in November 2013, we have gained some very special clients along the way. It’s our gym where Lancaster’s international athletes train together. Louise Goddard – team GB for the Duathlon. “I like the smallness, the friendliness, the support, and the community/family feel at Train Together – they nurture and encourage new people and help them to grow”. Jan Farrell – Overall World Cup Champion Speed Skier 2014 – trains with us when visiting home in Lancaster and recently broke the world record! Although elite athletes are a rarity, our everyday success stories aren’t. Julie Evison joined us way back in 2013 to lose weight and get fitter. She loved it so much that she went on to qualify as a Gym Instructor with us and now works with us as part of the fitness team.